Addemar Support Knowledge - Can I integrate barcodes into my creations? 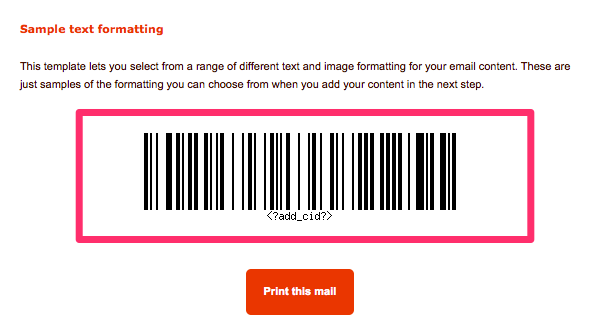 Can i use a barcode inside my emails? Let's describe them in detail. Check here how you can use our new creation process. 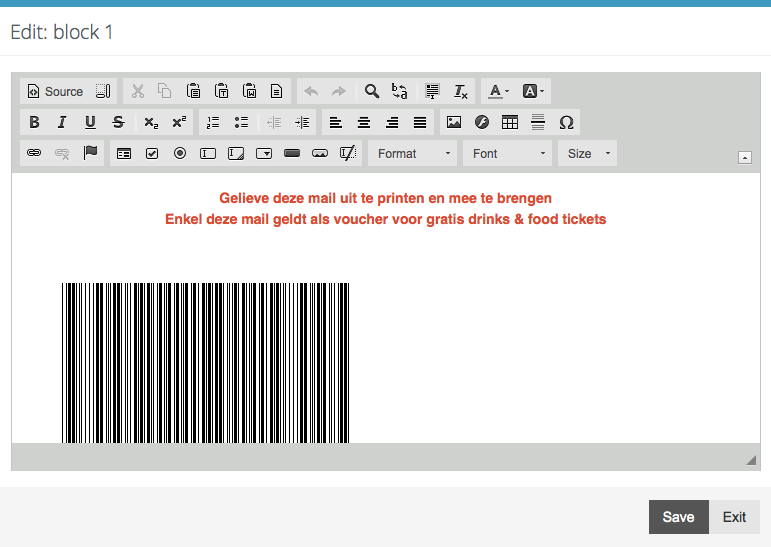 In our creation process we have added a barcode block, which let you define your barcode in a very interactive way. 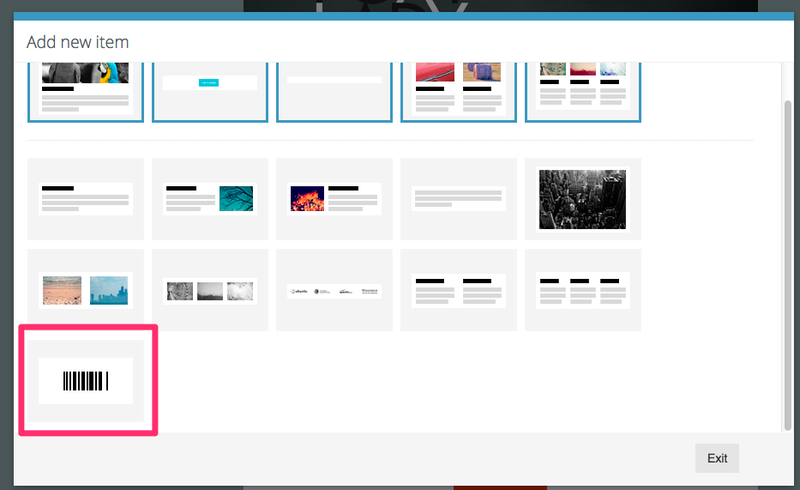 Click on the to add a new editor block in your current creation. Inside that popup you should now see a barcode block. 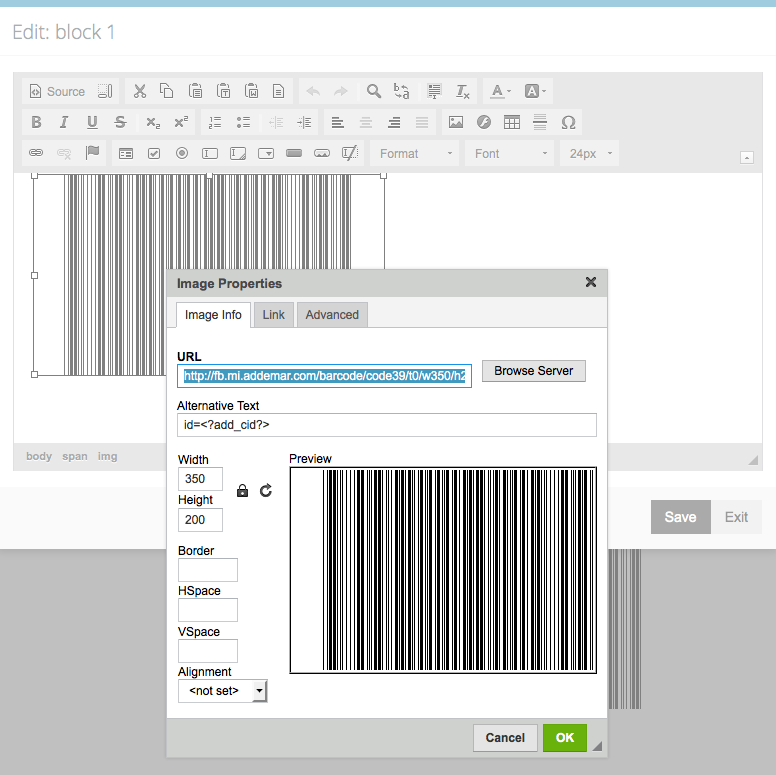 Once you have clicked, the barcode block will be added to your creation. To edit to the block you need to click on the block. Barcode : This field defines the 'value' on which the barcode will be generated. In our case we have added <?add_cid?> which will take the contac id field of your contact. Show text : shows the barcode field as description under the barcode or not. To use this mechanism you need to create a url link with the needed details, this will then generate a barcode based upon the specified details. What you can specify is described here below. Let's give an example of how the barcode can be implemented. In this Event confirmation email we have created a barcode image based upon the contact_id.